There are times when you have someone do some work for you and you are impressed with the end result. Then there are times (not very often) when you are blown away by the work done and wonder how they did it. We sent a GLOCK 19 slide into Doug at ATEi for an RMR milling and to refinish the slide with Nickel Boron coating. We got the slide back today and to say it looks factory is an understatement. ABSOLUTELY blown away. If you’re looking to have work done on your GLOCK or M&P, have no fear having Doug at ATEi work on your guns. Now its time to go do some shooting!! Seen here with the awesome INFORCE APL. 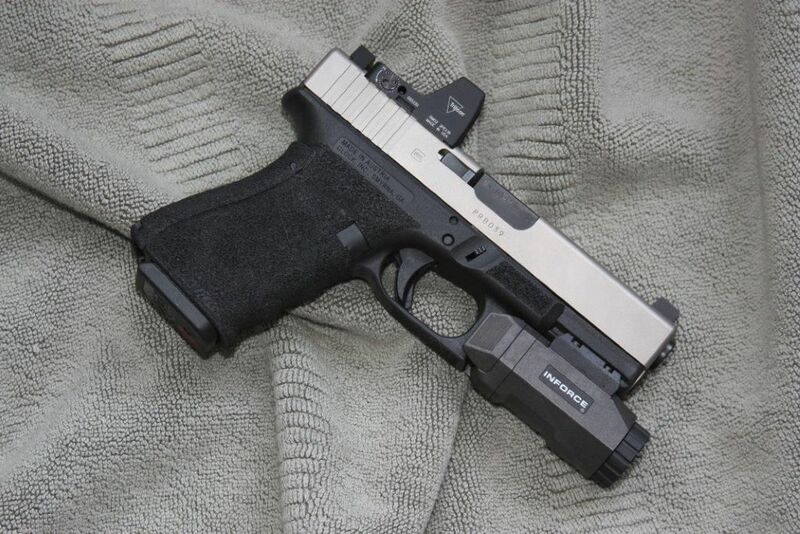 Review of an RMR on a pistol to follow along with an in-depth review on the INFORCE APL.